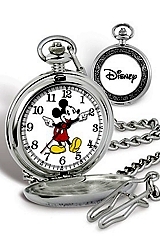 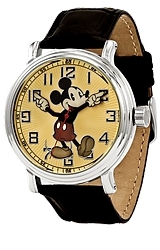 Licensed Watches now offers an Authorized Walt Disney full sized Men's Closed Cover Pocket Watch featuring Mickey Mouse complete with Moving Hand and Arms to tell the time. 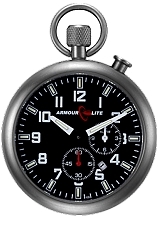 This fine quality pocket watch has an accurate Japanese quartz movement, Sweep Second Hand. 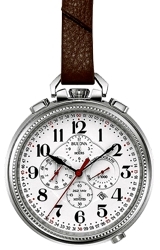 Included is a matching silvertone pocket watch chain.